I wrote a few weeks back about Rice University dedicating to itself to the reduction of salt in food preparation and it has been going great without any comments at all. As the Washington Times just reported, large manufacturers and a possible regulation by the FDA plans to reduce salt in many manufactured products. I had been reported that 77% of the entire salt intake is via processed foods. This is scary due to the fact that most families rely on processed or fast foods to make-up their diet. It is really OK to add a little salt to your freshly prepared; from scratch meal, but the problem is that processed foods use salt that is uncontrollable by the consumer. Even worse, adding salt to processed foods… I am absolutely for the reduction of salt and Pepsi, General, Mills, and others have dedicated that they will reduce by 25% over ten years. This comes as the FDA begins discussing the possible regulation, but the industry, driven by market pressure has done so on its own; which I wholly applaud as the basis of market capitalism. I actually read an argument by the salt industry that there is no proof that salt is harmful to one’s health, but I think this can be rejected easily as a lobbying attempt against regulation. Do you blame them? Anyway, I have also heard some political pundits incensed over the regulation of what one can consume or not consume. It is a standard argument against freedom of choice, but this is pure rhetoric. 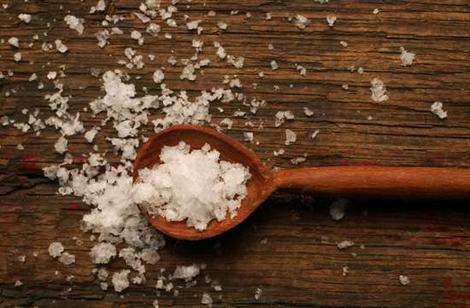 You still have the choice to add salt to your food to the detriment of your own health. The proper direction is ultimately to eat much less processed food and in the University realm, cook with scratch ingredients.